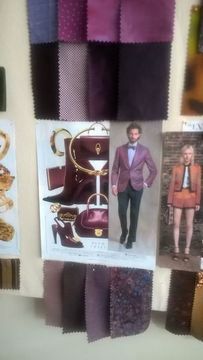 ANTHONY TURNER TAILORING seamlessly combines the benefit of a personal designer, stylist and tailor for THE STARS. Centrally located in the Arts and Entertainment District of Newark, New Jersey, it is the premiere tailor for luxury brands, Public Relations and top Stylists in the fashion, film and music industries. Supported by word of mouth, social media and exclusive fashion centered events, this tailor shop services red carpet, editorial and personal clients BY APPOINTMENT ONLY - 973 868 7279. ANTHONY TURNER TAILORING | SERVICE extends FIRST HAND expertise on the art of tailoring exclusively to members from 8:30am until 6:30pm on scheduled Saturdays. Likewise, our members learn from FIRST HAND experiences as meetups are conducted in the mix of actual work in progress. * We serve as a PARTNER to experienced tailors sharing advanced technical skills to construct our signature pieces. 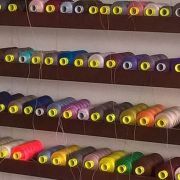 Qualified tailors are exempt from paying dues and will receive 50% of profit from the sell of their work. All work is subject to ANTHONY TURNER TAILORING quality standards before it can be sold. For more information, please refer to our MASTER TAILOR PAGE. * We serve as a CONTRACTOR to retailers in the off sight service of their alteration needs. The full $380.00 membership fee acts as a retainer and is deducted from a monthly invoice. Work from retailers is serviced solely by Anthony Turner or qualified employed tailors. This work is not done by students. For more information, please refer to our RETAILER PAGE. * We serve as a MANUFACTURER to indie brands for their small production needs. The full $380.00 membership fee acts as a partial deposit and will be deducted from payment in full on orders under $4,000. For more information, please refer to our INDIE/DESIGNER PAGE. * We serve as a SCHOOL for members seeking to learn the art of tailoring. The $380.00 membership fee acts as tuition for 3, full day, workshops monthly. Workshops run from 10am until 5pm on scheduled Saturday's. Members should bring lunch and their personal sewing kit. For more information, please refer to our STUDENT PAGE. Membership space is limited. Cancel at any time.